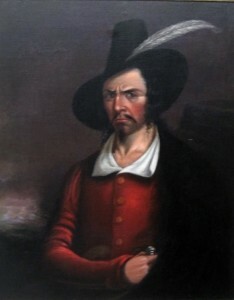 Born in France, Lafitte settled in New Orleans, from which he operated as a smuggler and pirate, preying on Spanish shipping. Seeking a pardon for his illicit activities, Lafitte offered the services of himself and his men to General Andrew Jackson in defense of New Orleans during the War of 1812. Lafitte fought brilliantly, and the Battle of New Orleans (December 1814–January 1815) was a great American victory. He and his men were pardoned by President James Madison.